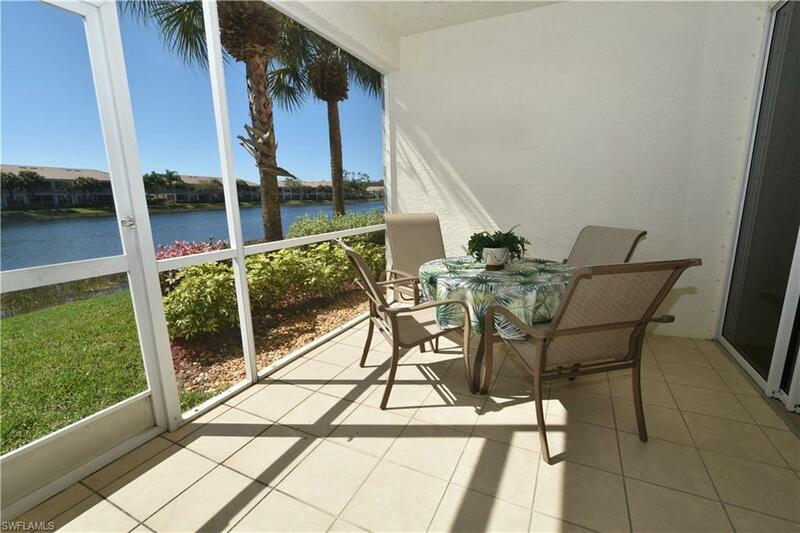 PARTIALLY FURNISHED bottom floor end unit with beautiful PANORAMIC LAKE VIEWS! Just 1 building down from the association pool. Plantation shutters throughout. Split floor plan with 2 bedroom plus den, formal dining, eat in kitchen nook, and a breakfast bar. 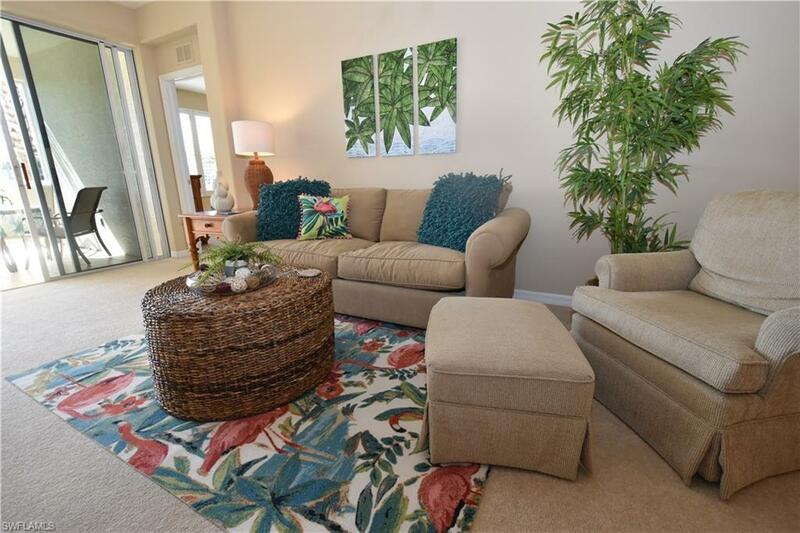 Lanai boasts a sought after southern exposure so the condo is bright and cheery all day. 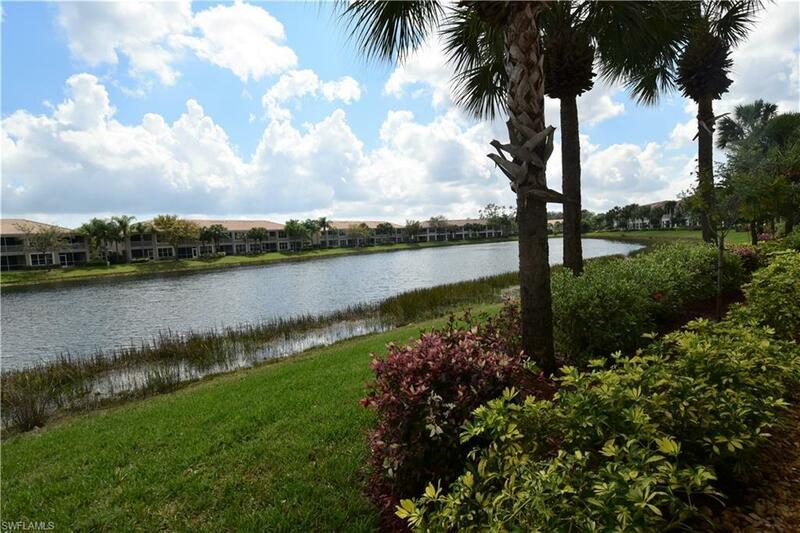 Come and live the Country Club lifestyle with golf (this is on the pay as you play golf side with no golf maintenance fees), Tennis, Pickle Ball, Bocce Ball, State of the art fitness, 7 pools ( you can go to 4 of them! ), Restaurant with weekly entertainment in the sports bar, nature trails through miles of preserve and marshlands, and walking paths. Lifestyle director and food and beverage director has activities lined up daily for everyone. No boredom here! 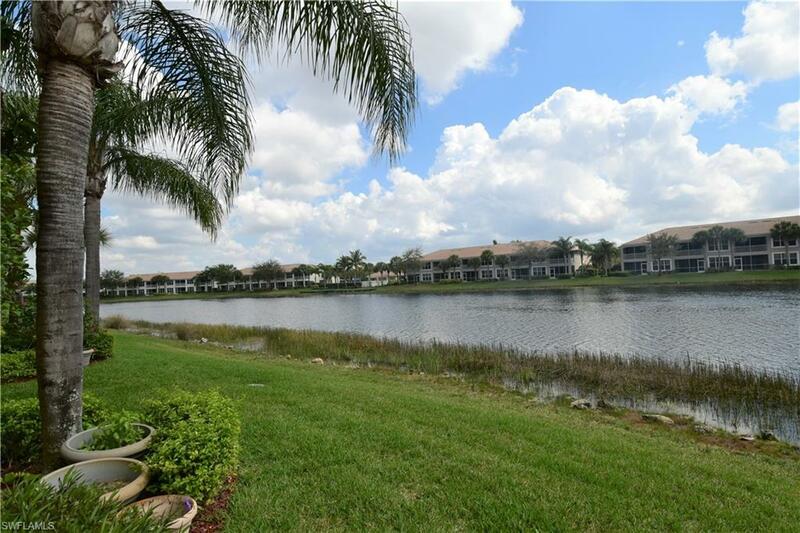 Listing courtesy of Nancy Anderson of Berkshire Hathaway Florida.